I’m so excited about this post. I know many of you have been eagerly awaiting the release of the new fall patterns, and you’ve been wondering about your options for making a raincoat from laminated fabrics. I’m here to offer a little help with your shopping and planning. 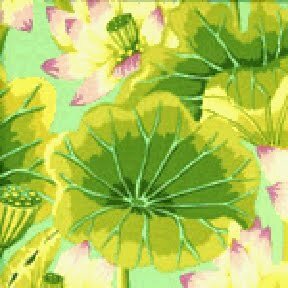 I’ll start with teasers about some laminated fabrics that will be coming out this season, and then I’ll move on to things that are available right now. Ready? 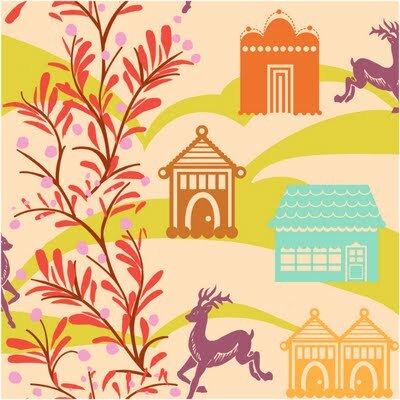 A number of the major quilting fabric manufacturers are about to release new laminated cottons. There are some exciting things coming out in the next several months that I’m pleased to be able to preview for you. Here are some details that the manufacturers have supplied to me. Free Spirit has been doing some lovely qualities lately, and this is going to continue this fall. I really like the finish on their laminates because it is soft, pliable, and easy to work with. You’ve already seen our two versions of the raincoat made from Anna Maria Horner‘s previous designs produced as laminates. But get ready, because two new Anna Maria designs will be released soon, and they’re really beautiful. Here’s a preview. 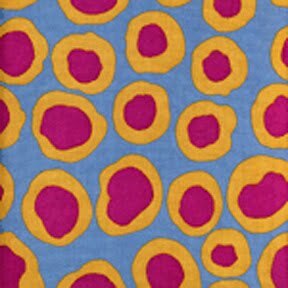 Westminster, the parent company of Free Spirit, will also be releasing new laminates by Kaffe Fassett. Here are previews of three of the prints from that collection (the image quality isn’t great, but you’ll get the idea). 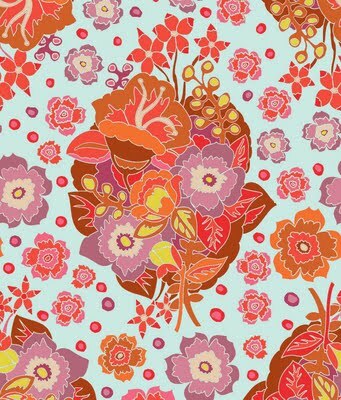 Westminster will also be releasing a few prints from Amy Butler’s new Love collection as laminates. I don’t have details yet, but be on the lookout for these as they’re sure to be good. Moving on to what’s available on the market now, Michael Miller has been producing laminates for quite a while now. 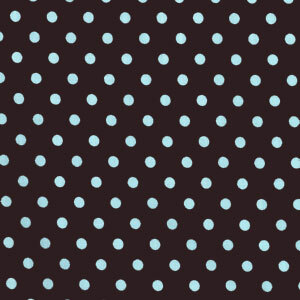 Our original raincoat sample is the Dumb Dot pattern in the “Chocolate” colorway (a brown field with mint-colored dots). 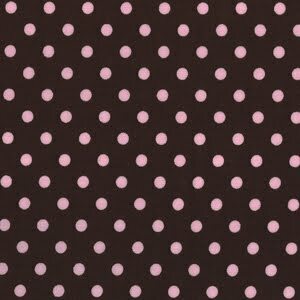 That print is also available with pink dots (called “Cocoa”) as well. 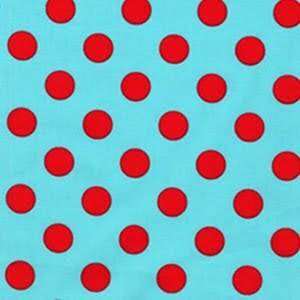 This turquoise field with red dots is a newer Michael Miller laminate that will be available soon. The coating on the Michael Miller fabrics is a bit heavier than some of the others I’m highlighting in this post, so it might be a little trickier to sew. But those dots may just be worth a little extra work, no? Japanese fabric manufacturer Kokka has a number of laminate designs by Etsuko Furuya, as well. You can find these at Purlsoho.com. I also have a few additional treats for you that I’ve found while shopping here in New York. Ready? Give your wallet to someone you can trust before you continue reading. These are my current favorites. The hand on these coated linens is very light, and the texture of the linen shows through the coating beautifully. B&J; Fabrics, $32.95/yard, 58″ wide, color/order number: Clay/V3368, French Rose/V3391, Green Apple/V3370, Periwinkle/V3372. And here’s where the pushing and shoving starts. Settle down, everyone! 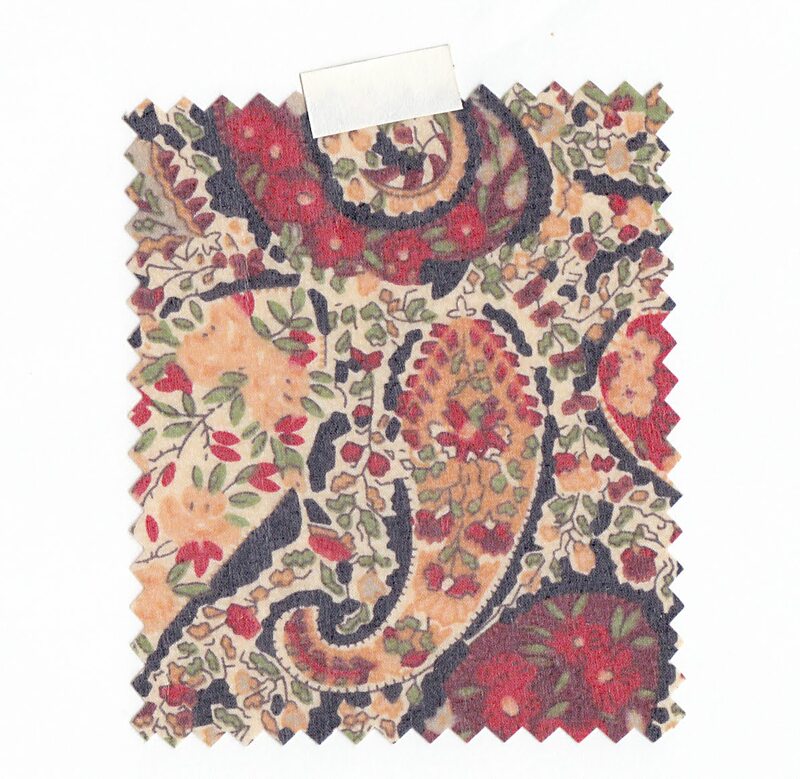 Custom laminated Liberty of London lawn. (Yes, it’s true! 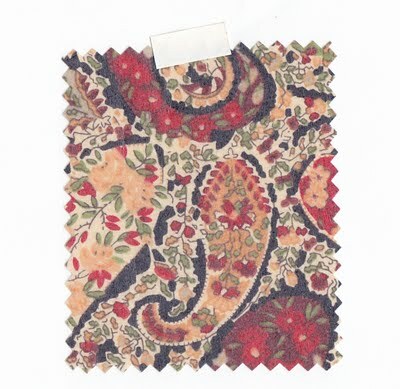 ): B&J; Fabrics, $42.95/yard, 54″ wide, V3368. 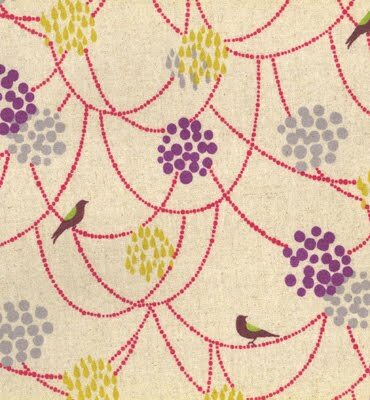 One last word about laminates: most manufacturers recommend that you don’t wash these fabrics. Instead, use a damp sponge to clean them. Check with the manufacturer or the retailer for exact care instructions. Thanks so much for the preview! Oooooh, the Liberty . . . can I resist? Have you tried the iron-on laminate that Heat n' Bond makes? 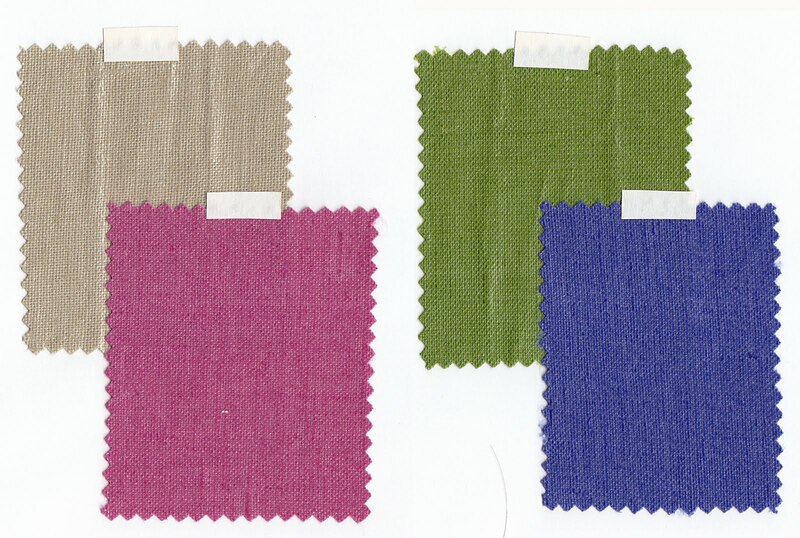 Do you know what the laminate is made out of on these fabrics? I'm worried it is PVC, which I avoid. This is such an awesome + useful post! THANK YOU!! Next, I think we need a discussion about how to find and assess good quality wool for making the other version of this coat. I am in love with this pattern. What type of sewing machine needle would you use to sew the laminate? Also, Lourdes, for the wool, I just picked up some nice quality 100% wool fabric at Joann's for a coat for me. They only had 3 colors, red, tan, and chocolate brown, but it looked like nice stuff. I'm not sure what I'll use for my daughter's coat yet though. Karen, I like Heat N Bond, but I generally use it for smaller projects. It is a bit stiff and can separate from the fabric. You could try it for a small project and see how you like it before committing to an entire raincoat. There are also services that will laminate your own fabrics, but I'm not sure what that costs. Jennie, I'm sorry I don't know the actual makeup of the laminates. You would probably need to contact the manufacturers for this information, and it may vary from one manufacturer to another. I promise I'll do a wool post soon, everyone. Cheers! Also, Johanna, I just used an ordinary needle (#10, maybe?) for the laminates. But a walking foot will help, too. 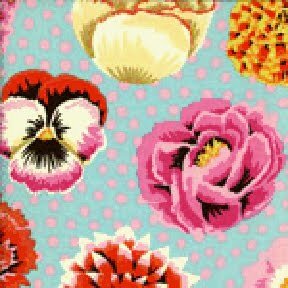 Just noticed your update – I love Superbuzzy fabrics! Wow! Aren't those additional prints fun! If you are sewing a raincoat, do you need to treat the seams so they don't leak, or am I overthinking this?